What has Career/job or Promotion to do with Raja Yoga’s? One might wonder that what has career/job or promotion or elevation of status in a company have to do with raja yogas.As raja Yogas apply to kings or rulers only? The answer is that the astrological texts were written in ancient times-when the kings or chieftains use to lead the society or group of people, but now with the modern societies we have politicians and company CEO’s , heads or head of departments leading a group of people. So in modern parlance raja yoga means being elevated in status or a potential to reach at the top an organization or the group. Below are given various kinds and possibilities of raja Yogas and their application to honourable prime minister of India sri Narendra Modi ji, former prime minister of India sri Rajiv Gandhi ji and also former president of America barrack obama. 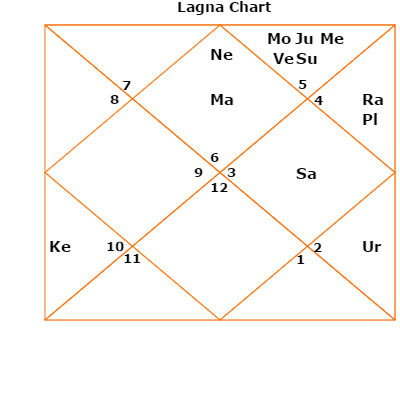 In the Kundli Or Horoscope(Birth Chart),The Raj Yogas are to be known from the karakamsa Lagna (This is the lagna in the navamsa divisional chart, that is the planet with highest degree in the birth chart sitting in the house or sign in the navamsa or the D9 chart) and the natal Lagna or ascendant. From one perspective the match of Atma Karaka(The planet to graha with maximum degrees in the horoscope or kundli) and Putra Karaka ought to be considered and then again the natal Lagan’s Lord and Putr’s Lord ought to be thought The impacts, because of such affiliation, will be full, or a half, or a quarter, as per their qualities. What is a Maha Raj Yoga or great royal combination?. If the Lagna’s Lord and Putra’s Lord exchange their Rashis or signs, or, if Atma Karaka and Putra Karaka (Char) are in Lagna, or in Putra Bhava, or in the exaltation Rashi or sign, or in own Rashi or sign, or in own Navamsa(d9 divisional or Varga Chart), getting a Drishti(aspect) from a benefic, Maha Raj Yog is delivered. The local so conceived will be celebrated and glad. For any kundli or horoscope(birth Chart)The reason is atamakarka is the planet that has crossed the maximum degrees in the horoscope or the kundli and so is the putra karaka the karaka for children or thinking, this is the sixth highest degree holding planet in the birth chart- as they both are in on the lagan or self- the maximum benefit goes to the self. Also in exaltation rashi gives good energy to the thinking the fifth house of the putra karaka. The same thing happens in own rashi or sign, getting a drishti or aspect from benefic like Jupiter(Guru), Venus(shukra) or mercury(budha causes this maha raja Yoga to happen. In the event that Lagan’s Lord(the ascendant lord) and Atma Karaka are in the Tanu Bhava( the first house of self and personality), Putra Bhava( the fifth house of children), or Yuvati Bhava(The seventh house of love and relationships and job), yuti or conjunction with, or accepting a Drishti(aspect) from a benefic(Like Jupiter/Venus or mercury), a Raj Yog is shaped. In the above yoga Happiness is seen to be derived by the lagan’s lord or ascendant and the atma karaka planet and good houses for them both to be there is first house, fifth house, seventh house. If there be benefics in the second, the fourth and the fifth, checked either from Lagna’s Lord(The ascendant or the first house), or from Atma Karaka Rashi or sign(the rashi or sign in which rules atmakarak planet like for Saturn or shani it is Capricorn and Aquarius or maker & Kumbha rashi), one will end up being a ruler. Given the Kundli Or Horoscope(Birth Chart) ,So also malefic in the third house of initiatives but a malefic house and sixth house(the house of obstacles and troubles but a malefic house) from Lagan’s Lord or ascendant, or from Atma Karaka Rashi or sign will make one a ruler. So the basic principle here that works is that negative or malefic planet in a malefic house makes it positive. The measurement of energy is done with respect to the lagna or the atmakarka sign or rashi. Where the atmakaraka planet or the planet with highest degrees reside. In the Kundli Or Horoscope(Birth Chart) of narendra modi ji,Now planet Saturn is at 29+ degrees and is atma karaka for narendra modi ji. The ascendant is mars or the sign Scorpio the vrishchika rashi. For the Kundli Or Horoscope(Birth Chart) of narendra modi ji,The fourth house is the Kendra occupied by Jupiter the natural benefic. So is the tenth house with Venus along with Saturn the atma karaka planet for narendra modi ji. Also form the atma karaka planet Venus(shukra) is in the Kendra , so is moon a benefic in the fourth house along with not so malefic mars or mangal ,in the seventh house is Jupiter or Guru. For narendra modi ji kundli/horoscope,The ascendant mars are just OK in the sign of mars. So gains strength as one grows in life. Given any kundli or horoscope or birth chart,One will be identified with regal or royal circles, if Shukra(venus) is the karakamsa, or in the fifth there from, or in Lagna, or in Arudha Lagn, accepting a Drishti(aspect) from, or yuti with Guru, or Chandra Or Moon. Here shukra or Venus the planet of comport is in the karakamasa lord or in a benefic or house of comfort to royal people the fifth house. Indeed, if a solitary Graha or planet gives a Drishti(aspect) to the natal Lagn, or Hora Lagn(The hourly lagna), or Ghatik Lagn, the person will turn into a ruler. On the off chance that the Shad Vargas of Lagn are possessed, or get a Drishti(aspect) from one and the same Graha(like example if Leo is the ascendant then if sun the lord of Leo or simha is in the same shadvarga or divisional charts – of Leo sign then), a Raj Yog is without a doubt shaped. Likewise, if the Drishti(aspect) is full, half, or one fourth, results will be all together full, medium and insignificant. In any kundli or horoscope/birth chart,In the event that the 3 Lagnas or ascendant (natal, Hora and Ghatik) are involved by Grahas in exaltation, or in have Rashi or sign, or, if the natal Lagn, the Dreshkan Lagn and the Navamsa(d9 divisional or Varga Chart) Lagn have exalted Grahas, Raj Yog is framed. Barrack Obama the former president of USA(America) twice, Raja yoga example. In the Kundli Or Horoscope(Birth Chart) of barrack obama,The ascendant of former president barrack obama is Capricorn ruled but Saturn with a benefic Jupiter in the same. Mercury or budha is a benefic in the seventh house with a malefic sun or surya there. For the birth chart and kundli or barrack obama,Saturn is retrogate but just OK in the lagna or ascendant of the horoscope chart of barrack Obama. So this forms a kind of raja Yoga for him. Now let us evaluate the karakamsa and other planets. The atmakarka for the former president of America barrack obama is mars or Mangal at 29+ degrees. It is in the eighth house along with rahu. For the Kundli Or Horoscope(Birth Chart) of barrack obama,The sixth house from the same has the benefic Jupiter sitting. The tenth house has exalted moon sitting over there. Also malefic Saturn sitting in sixth house becomes a bit positive that is benefic. Mars or mangal the atmakraka is in the sign of sun or Leo simha rashi. Giving it some strength . Sun is with mercury a benefic so OK. So over all it forms a fair enough raja Yoga for former president to USA(America) barrack obama. Though not a very strong one. But weak mercury and weak Venus in the eighth and sixth house cause this yoga to happen. In the event that Chandra Or Moon and a benefic are in the Arudh Lang, as Guru is in the second from the natal Lagn and both these spots are accepting Drishti(aspect)s from Grahas in praise, or Grahas in possess Rashi or sign, there will be a Raj Yog. In the Kundli Or Horoscope(Birth Chart,On the off chance that Lagna(ascendant), Dhana bhava( the second house of wealth and status) and Bandhu Bhava(Fourth house of family) are possessed by benefics like Jupiter/Venus/mercury( Guru/shukra and budha), while a malefic is in Sahaj Bhava(The third house of initiatives), one will end up being a ruler, or equivalent to a lord. So the good houses like the second house and the fourth house get good energy from the benefice above and the bad hsoue.So like the third house gets malefic- so again becomes positive. So over all the person could become a king. As so much of good or benefic energy is coming in. The person will be affluent, on the off chance that one among Chandra Or Moon, Guru, Shukra(venus) and Budh is magnified in Dhan Bhava. If in any kundli or horoscope (birth chart)On the off chance that Ari bhava ( the sixth house or the house of conflicts and bad health), Randhr(The eight house of death and obstacles and landed property) and Sahaj Bhava (The third house of siblings and initiatives and business)are possessed by weakened Grahas, as Lagan’s Lord is strong, or is in own Bhava and gives a Drishti(aspect) to Lagn, there is a Raj Yog. As the lagna is strong and weak planets are negative, when they are in negative houses like third/sixth and eighth they gain in strength. Again a Raj Yog is framed, if Ari’s, Randhr’s and Vyaya’s(The twelfth house of expenditure and losses) Lords are in fall re in detriment, or in hostile Rashis or signs( so get weakened), or in combustion so weak, as Lagan’s Lord, set in his own particular Rashi or sign, or in its exaltation Rashi or sign, gives a Drishti(aspect) to Lagn. In the above combination basically the negative planets ruling the sixth house, the eighth house and the twelfth house get weakened by being in inimical signs and also due to being combust- but at the same time lagna is strong. On the off chance that Karma’s Lord(The tenth house lord, or the house of career), put in his own Bhava, or in its commendation Rashi or sign, gives a Drishti(aspect) to Lagn, a Raj Yog is framed. Comparative is the situation, if benefics are in Kendra’s. On the off chance that the Atma Karaka Grah is in a benefic’s Rashi or sign/Navamsa(d9 divisional or Varga Chart), the local will be well off. In the event that there are benefics in Kendra’s from karakamsa Lagn, he will end up being a ruler. In the Kundli Or Horoscope(Birth Chart),On the off chance that the Arudh Lagn and Dar Pad are in shared Kendra’s(the first /fourth and seventh and tenth house), or in mutual Sahaj/Labh Bhavas, or in common Konas, the local will certainly turn into a ruler. In the event that two, or all of Bhava, Hora, and Ghatik Lagnas are accepting a Drishti(aspect) from exalted Grahas, a Raj Yog is framed. 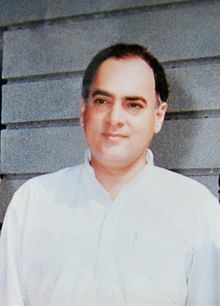 Rajiv Gandhi the former prime ministers of india,Raja yoga example. For late sri Rajiv Gandhi ji, mercury is the atma karaka for him at 28 degrees in the twelfth house along with the ascendant lord that is moon. Now mercury is a benefic and also sun the lord of the twelfth house is in twelfth house in Leo or simha rashi. So the dispositer is fair enough. In the Kundli Or Horoscope(Birth Chart) of rajiv gandhi ji,Venus and Jupiter the grand benefics both sit near the atmakaraka and the lagan or ascendant lord moon. This gives strong raj yoga to Rajiv Gandhi ji. For the kundli or horoscope (Birth chart) of rajiv gandhi ji,So we can see a basic correlation in the atmakaraka and lagna lords above. Sukma Naxal Attacks on CRPF Jawans April 2017 Injured by Maoist & Naxalites in India- What Vedic Astrology Says?